Verification that Social Work courses beyond the introductory course (SWK 210) were taken at a college or university which has a program that has been accredited by the Council on Social Work Education (accreditation must have been active at the time courses were taken). 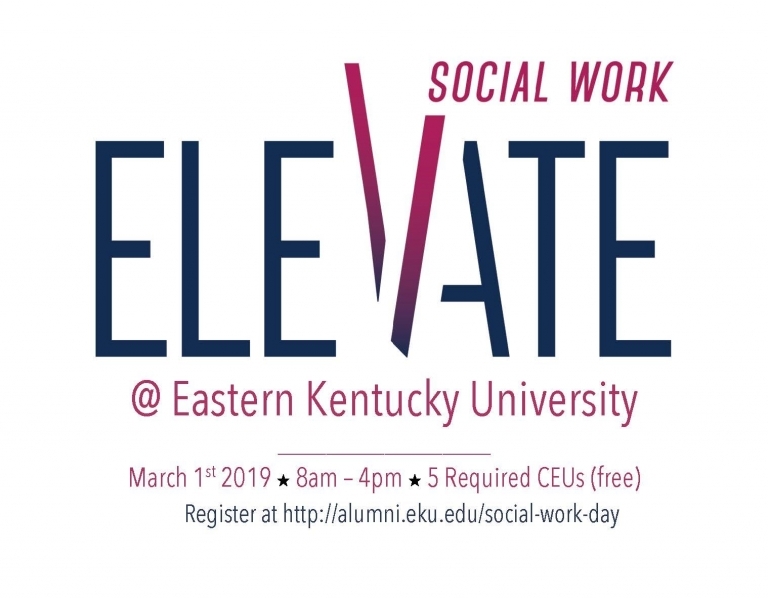 If you have taken Introduction to Social Work at a different university you must have completed 25 hours of volunteer service as required in the EKU SWK210 course. Documentation (letters from supervisors, logs, journals, etc.) of having completed 25 hours of volunteer experience in a human service agency or program; or documentation (letters from supervisors) of para-professional work experience in a human service agency or program. Without this documentation you will be required to take SWK 210: Introduction to Social Work. To the EKU Registrar: Copies of all transcripts. Transcripts must be received by the Registrar by the application deadline date. These transcripts will be considered a part of the application process. Social work courses that count toward degree requirements can only be accepted from CSWE accredited institutions. Courses transferred from CSWE accredited programs will have to be evaluated individually by the Director of the Social Work Program in collaboration with social work faculty and approved by the Department Chair. The student should not have to unnecessarily repeat course content already achieved at a CSWE accredited program. However, courses with the same or similar titles do not always match from one university to another. Students initiating transfer credit requests should anticipate providing full documentation of the transfer course(s) equivalency, including such material as the course catalog description, syllabus, assignments, tests if available, and the citation of the text used in the course. 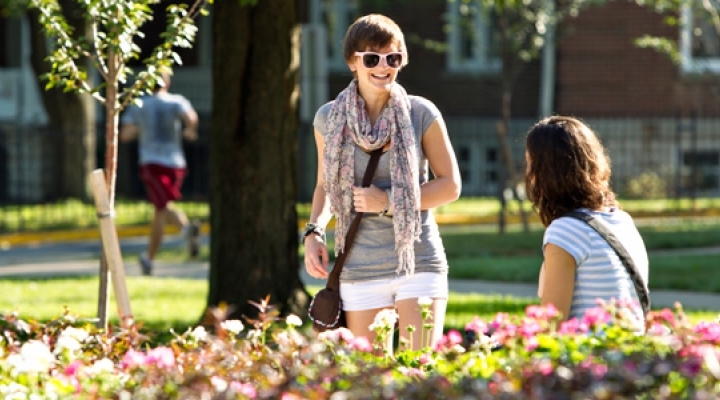 Transferred social work courses that are NOT accepted as part of the major required courses may be accepted by the University as elective hours as credit toward the baccalaureate degree. The EKU Social Work Program has negotiated with some of the Kentucky Community and Technical Colleges to make transfer easier for students while assuring equivalency of course content. Students transferring in from these colleges may be able to receive credit for SWK 210 and SWK 310. These faculty-negotiated arrangements are a specific exception to the general rule of acceptance of transfer work. The EKU SWK 210 "Introduction to Social Work" course may be accepted from another accredited institution, but experience of the EKU program suggests that students should be aware that even if transferred and accepted for EKU social work program credit, the course may lack the 25-hour volunteer experience required in the EKU course. In such case the student will be expected to complete and document an acceptable volunteer experience. The Program will not award academic credit for life experience or previous work experience in lieu of any of the professional foundation courses in social work. The Program recognizes the value of previous work experience and encourages all social work students to participate in worthwhile volunteer work. The Program also supports the student's efforts to find para-professional work during times when the student is not enrolled in the University as a full time student. All life experiences can be made beneficial and the Program believes social work education and social work practice can be enhanced when students assess their life experiences to find an effective use of self. One of the objectives of the Social Work Program is to assist students in being able to demonstrate a professional use of self. A part of that effort is to help the student examine the effects of their own experiences and find the benefits and cautions that may come from these affects. However, the Program believes it is impossible to determine course or curriculum content equivalency based on either previous work experience or life experience. The only exception to this policy is that a student with substantial social work related work experience will not have to complete the 25-hour volunteer experience in SWK 210, Introduction to Social Work. Such a student may petition the course instructor to complete an alternative assignment instead of the volunteer exercise.